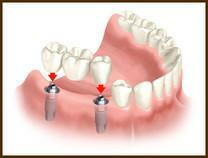 Single tooth replacement is the most popular purpose of dental implant restoration at our practice. You can restore either one tooth or multiple teeth. 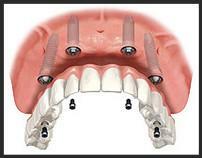 If just a single tooth must be replaced, he will attach a porcelain crown to the titanium implant post. 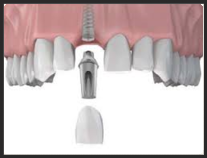 between traditional removable bridges and implant-supported bridges is that the latter do not rely on surrounding natural teeth for support. For patients who are missing most or all of their original teeth, we suggest a partial or full set of dentures, either of which can be attached to dental implants to ensure the most stable, durable, and natural-looking results possible.